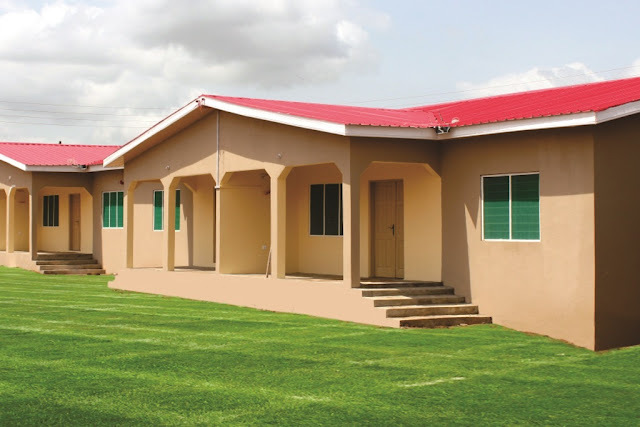 Not everyone living and working in Ghana can buy or build their own house before the prime of their career; not everyone has a well-paying job that allows them to comfortably go for a mortgage plan at HFC Bank, Ghana Home Loans, etc. to pay for their own apartment. Not everyone has rich parents who can give an apartment to their children as a present. For the bulk of the ordinary citizens struggling to make ends meet, renting a single room, chamber and hall, chamber and hall self-contain and other room offers has become the order of the day. Let me share with you five critical things to consider when planning your room or apartment hunt. Due to unfavourable work schedules, the pressures to relocate to another side of town and sheer laziness on the part of apartment seekers, many people are unable to do the apartment search themselves, resorting to agents. Do not be deceived ‘kwraaaa’. Agents cannot be taken out of the apartment search process. For some strange reasons, house owners trust and love dealing with agents than dealing directly with the individual in search of an apartment; this deepens the frustrations of walking to all the places family and friends may recommend you follow up on. The agents are very connected, know their way around town and know where to find which type of apartment. Because agents are in business to make more money off their clients, please psyche yourself to invest in their trade: pay a registration fee ranging from GHS 20 to GHS 100, transport the agent to each new site as well as pay them a commission of GHS 30 on the average each day. So before you land a suitable venue with an agent, you may have walked or hired a cab to various places, enabling them help you spend your hard earned cash. Due to desperation, many clients do not get what they really want (the perfect place) and settle for one out of the coolest places they were taken to. The reality is that you can only be taken to your preferred place only after agents have squeezed cash off you for many days. When you finally get your apartment, you have to prepare to pay 10% of the cumulative rent. So if the chamber and hall apartment is going for GHS 100 per month and you’re renting the place for two years that makes the agent GHS 240 richer for no or little work done. Ghana’s Rent Act of 1963 has made it clear that landlords charge a maximum of six months’ rent advance to their client. For the lack of law enforcement by the Rent Control (empowered by Rent Control Act of 1986), landlord or ladies demand between two years to three years rent advance. Because demand for apartment rental far exceeds the available houses, you sometimes cannot blame those who pay beyond the six month rent advance. Desperate times, they say, call for desperate measures. Before anyone goes ahead to rent a place, they already have in mind the price range for the particular apartment they want. Another key thing that has a direct impact on pricing is the location of the apartment. If you don’t have plenty money, stay off the plush areas in the urban centres. Free advice. Many apartment owners and agents make countless promises to the would-be occupant in a bid to get them to commit quickly and move in before the ‘minor’ renovations are done. Don’t always fall for this trick. Always insist on knowing the fine details of when a particular action will be started and completed. If possible, document any agreement pertaining to renovations and future promises. That may be your number one source of disagreement with your landlady or lord. Insist on signing and a keeping a rent card stating the fee and duration of the transaction. Endeavour to ask for clarifications of any matter you don’t know about. Always seek the consent of the apartment before doing major renovations. Your stay will be smoother and better if you have your own ECG meter. That way, you only pay for what you use at the time you want. No pressures from anyone. Lol. NB: While we get the National Housing Policy and affordable housing project to work, my shout out goes to all landlords and ladies (both the good and the bad). To room seekers, I wish them the very best. Mr. Forson never knew he was this funny till he started blogging. He noticed that whether he is writing a piece on nostalgic moments, religion, social issues, or business, there is always a satirical and/or humorous touch to it. Aside being busy at his day job at Ghana's biggest Public Relations Agency, he love making music, relaxing with his family, reading stuff and many more.